Henna Tattoos are beautiful art works. A Henna tattoo is a non-permanent body art or design that is done using henna paste. Henna tattoos usually take about two days to darken and have a maximum stay of about two weeks. After this duration, they eventually start fading away. Henna is a natural dye that is derived from the henna plant’s leaves. On application, it seeps into the skin’s top layer leaving a partially permanent stain. While some people find this temporary henna attractive, there are times when you may end up unhappy with the location or look of your henna tattoo. So how to remove henna tattoo before the two week time frame? Use a loofah to rub your henna tattoo every time you take a shower. The process of using a loofah is a slow one and rubbing the loofah over your skin will eventually remove all traces of henna ink. step 1: Apply some baby oil on the henna tattoo and let it stay on for about a minute or two. This enables the baby oil to soak into the skin and tattoo thus making it much easier for you to rub off that temporary tattoo. step 2: Take a washcloth the rub it vigorously on the tattoo. After some time, you will notice that the tattoo is becoming clumpy, and it will eventually start to peel off rub away. Do not stop rubbing until the entire henna tattoo has been removed. Note: If you do not have any baby oil, you can still use olive oil on the henna tattoo. Alternatively, take a small amount of alcohol and pour it on a piece of towel paper or cotton ball. Rub in on the henna. Be warned that rubbing alcohol on your skin will burn a little. 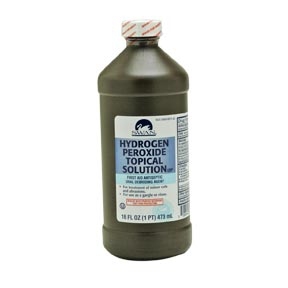 Take a cotton ball and saturate it with some hydrogen peroxide. Rub the saturated cotton ball over your henna tattoo. Rub until all the henna has disappeared. This process may take some minutes, but the continuous rubbing will ultimately remove the henna tattoo. When it comes to how to remove henna tattoo, exfoliators that you can also come in handy. Products that have been specially designed to remove rough skin come in handy when you want to remove henna tattoos. You can purchase them in most local drug stores, but before you use them (or any chemical on your skin) you should first perform an allergy test. After you have determined that you are not allergic to any of the products you will use, you can simply rub over the tattooed area. You should know that there is likelihood that there will be some henna remaining. As such, avoid using those products repeatedly especially on one area so that you may avoid irritating or damaging the skin. One of the most common henna tattoo removal methods is bleaching. Use regular bleach that is mostly used for face or hands, and apply that bleach on the henna tattoo. Once it has dried, rinse your hands immediately. Alternatively, dip your hands in cold water after this method is complete. This will greatly fade the henna color. When answering how to remove henna tattoo, natural remedies prove to be the safest and pain free. 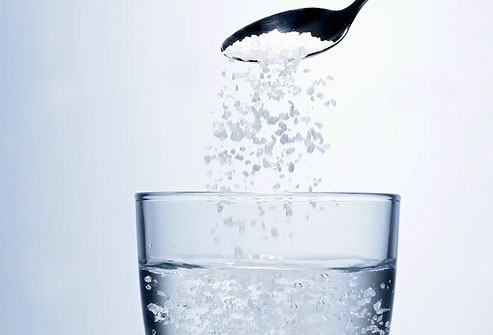 Take a cup and fill it partly with salt and water. Take a gauze pad and saturate it with the salty water. Lay that gauze pad over your henna tattoo and let it sit for about 20 minutes. Rinse the tattooed area with water and pat it dry. Do this twice or thrice each day, and you will eventually expedite the removal. Take some lemon juice and baking soda and make a paste. Spread the paste over the henna tattoo and let it sit for about ten minutes. Once it has completely dried, take a soft loofah and exfoliate your hands as you rub in circular motions. Rinse your hand with warm water and if the henna is still there, repeat this process. Afterwards, moisturize your skin because the paste can leave your hands completely dry. Step 1: Take some clear tape like scotch tape and cut a small piece off. Scotch tape is much better than painters or masking tape. Step 2: Press the piece of tape down on the henna tattoo. Press it firmly so that it will be able to attach to the tattoo’s surface. Rub on top of the tape using your fingers for a few seconds. Step 3: Slowly peel off the tape, and the tattoo or at-least part of it will peel off with the tattoo. Keep repeating this process until the whole tattoo is removed. To naturally remove henna tattoos, allow time to take its natural course. Most henna stains fade after two weeks or even less. 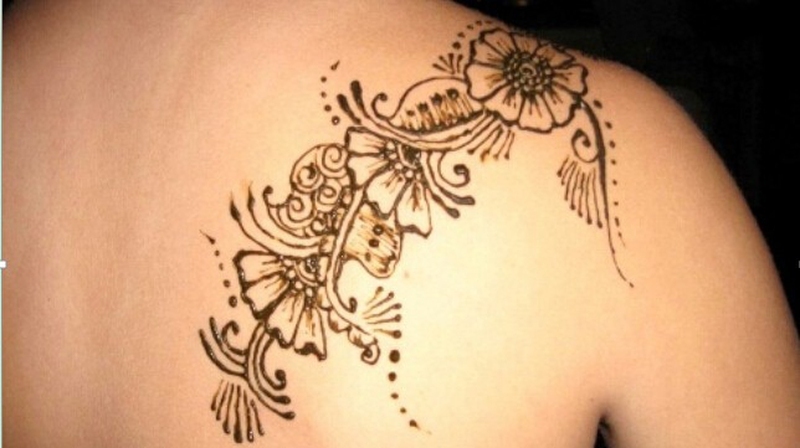 The duration henna stains take to fade mostly depends on where on the body it is placed. Normal activities that include water usage like dish washing, car washing and bathing will help remove the temporary henna tattoo. Server responsed at: 04/19/2019 8:56 a.m.